In India, corruption is one of the hottest and most controversial topics to discuss. It is discussed at offices, tea stalls, home, and almost everywhere. Hence, Indian film industry has also picked up this theme and produced some great movies about the fight against corruption. Everyone or at least most of us need an India without corruption. Every now and then, we hear news about corruption or black money locked in Swiss Banks. However, there are hardly any steps towards fighting corruption. These Indian movies actually display the exploits of corruption and try to entertain us by showing triumph against corruption and the corrupt administration in reel life if not real. 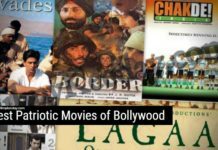 Indian films are mostly based on romance or action genre. Politics is not always explored much in the cinema industry. However, whenever this genre is tried, a great masterpiece is produced single time. 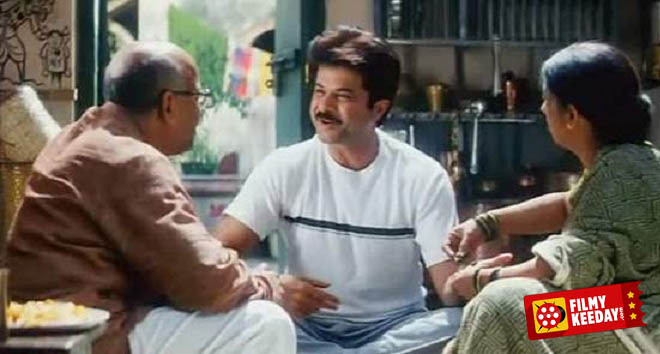 Nayak is an Indian film starring Anil Kapoor in the lead role. Directed by S. Shankar, the film is a remake of S.Shankar’s Tamil film Mudhalvan. The film is about a reporter embracing the challenge of the Chief Minister and becoming Chief Minister for a day. Witnessing his wonderful work in a day, the public declares him the new CM. 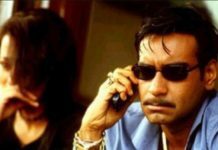 The film also stars Rani Mukerji, Amrish Puri, Paresh Rawal, and Johnny Level in important roles. Sivaji is another Tamil film directed by S. Shankar. The film stars the South Legend Rajnikanth in the titular role, whereas Shriya Saran plays the female lead. 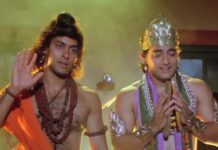 The film is about an NRI Sivaji, who returns to India to fulfill his dream to offer free medical treatment and education all over India. However, his dreams are thrashed when he discovers corruption at each and every step and at one point of time loses all his money. Well, it is now the film gets interesting. Watch the film to know whether Sivaji is able to fulfill his dreams. Well, it seems like S. Shankar is known for producing films on politics or corruption. Here’s one more from the legendary filmmaker. Anniyan is an Indian film starring Vikram in the titular role. The film revolves around a character name Ramanujan Iyengar played by Vikram who suffers from multiple personality disorder. While the real Ramanujan is a law-abiding lawyer, his two other identities are a cool model Remo and a vigilante serial killer named Anniyan. Anniyan punishes anyone and everyone who breaks law according to the Garuda Puranam. 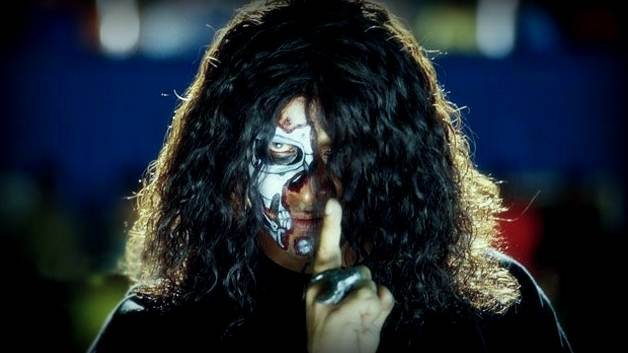 Well, the S. Shankar’s saga comes to an end as we have the 2009 Tamil vigilante thriller film Kanthaswamy on our list. 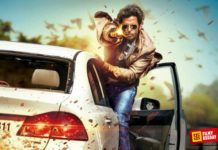 The film stars Vikram in the titular role. Directed by Susi Ganesan, Vikram plays an Income Tax officer in the CBI in the day, whereas becomes Kanthaswamy by donning an anthropomorphic rooster costume by night. His primary role as Kanthaswamy is to grant the wishes of the needy who write their problems in letters to a local Lord Muruga temple. Whether he’s successful in granting everyone’s wish or his secret identity is compromised is what forms the crux of the story. 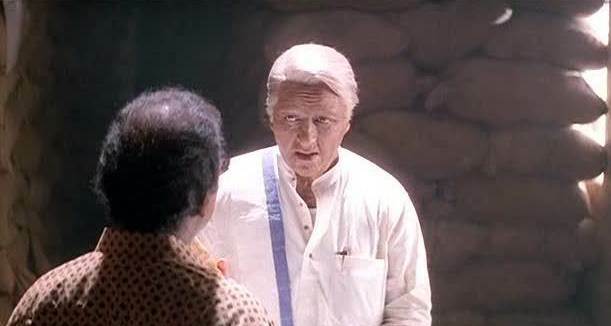 Indian is a 1996 political thriller directed by S. Shankar. The film stars Kamal Haasan in dual roles, one of which is the titular character. The film is about an ex-freedom fighter turned vigilante whose only aim in life is to eradicate corruption from the country. However, his path is obstructed as he finds his son on the other side of corruption. Whether he spares him or punishes him like the others is what forms the rest of the story. Gabbar is Back is an Indian film directed by Krish. The film stars Akshay Kumar in the titular role as Gabbar. The film is the official remake of Tamil film Ramanaa. The film is about a lost man’s fight against corruption as he takes the matter into his own hands as the justice department failed. As Gabbar, he becomes a role model for the youth and a threat to all the corrupted leaders and bureaucrats across the nation. The film also stars Shruti Haasan as the female lead, whereas Suman Talwar plays the lead antagonist in the film. Anna Hazaare almost brought another revolution in the country after his quest to pass Lokpal Bill at the center. Although he failed to do so, his efforts gave birth to a new political party that’s not either run by any dynasty or backed by religious extremists but purely comprising of common people and hence it is called Aam Aadmi Party. 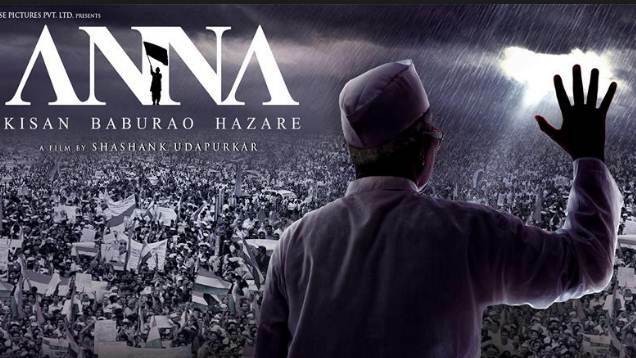 Well, the 2016 film Anna: Kisan Baburao Hazare is the biographical tribute to Anna Hazare. The directed Shashank Udapurkara himself dons the titular character of the man behind the revolution. Also Read: Best Bollywood Movies about the Common man of India. Ungli is a 2014 film revolving around a gang that calls themselves Ungli gang. Directed by the Rensil D’Silva, the film features an ensemble cast of Sanjay Dutt, Emraan Hashmi, Randeep Hooda, Kangana Ranaut, Neil Bhoopalam, Angad Bedi, and Mahesh Manjrekar in important roles. The film is about a gang of 4 fighting against corrupt leaders while the police are on the hunt to end their quest. 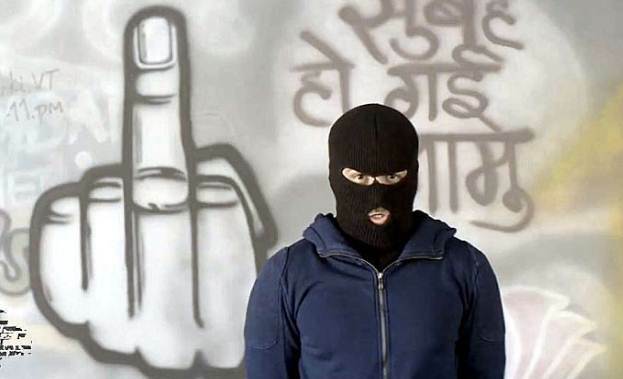 Whether the Ungli gang succeeds or the police finally get an upper hand is what forms the rest of the story. Satyagraha is a 2013 political drama featuring an ensemble cast of Amitabh Bachchan, Ajay Devgn, Kareena Kapoor, Arjun Rampal, Manoj Bajpai, Amrita Rao, and others. The film is about a father’s plight to get the awarded compensation after the death of his son. Eventually, he resorts to satyagraha not only for himself but the entire district. There’s a lot of political drama and antics in the film that reflects the society we live in. Justice seems too distant and there’s no other alternative but to fight for it. The film is directed by Prakash Jha. 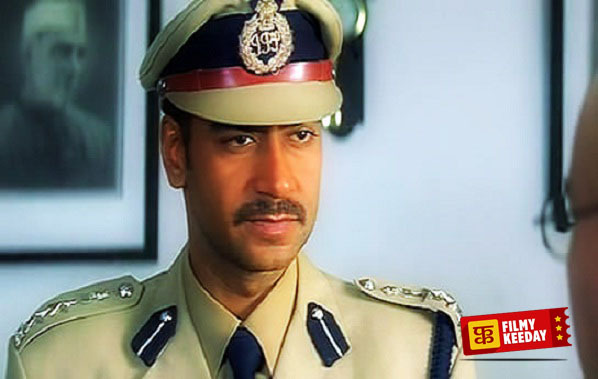 Gangajal is another Prakash Jha film starring Ajay Devgn in the lead role. The film is about the ideology and principles of brave policemen and his fight against the local don and his son. Posted as the new SP at Tezpur district, Amit Kumar soon realizes that the area is ruled by local don Sadhu Yadav but he is not ready to give up his principles and ideology against this criminal and starts penalizing anyone who breaks the law despite getting no support from his subordinates at the beginning. Whether he succeeds or not forms the rest of the story.